Explore the possibilities of how to recapture underutilized space in your Basement with the help of Bannochie Builders, Inc. We are highly experienced in finding solutions for the difficulties one can encounter when finishing a basement. There are numerous ways that our Expert Basement Remodeling and Finishing Professionals can make an unfinished Plymouth, MN basement into a comfortable lower living area. As Licensed Remodeling Contractors, Bannochie Builders, Inc. can help with every step of the process from design ideas to a completely finished basement. Written by Bannochie Builders Inc.
A Family Room is often called on to be a very multifunctional space for family and friends. Your family room should reflect your lifestyle in its design and function. There is no need to live with a cramped family room space that no longer suits the needs of your family. Bannochie Builders, Inc. has the credentials and experience to lead you through a Spectacular Family Room Renovation that breaths new life into your Minneapolis, MN home. 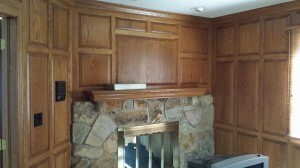 See how we can remove a wall to create an open living space, update a fireplace or install beautiful new hardwood flooring and custom cabinetry. Your basement can be a goldmine of additional living space. With the help of the Professional Remodelers at Bannochie Builders, Inc. you can find yourself with a beautifully functional living space that adds value to your Bloomington, MN home. We have the experience to overcome obstacles that may prevent others from transforming a dark, damp basement into a new family favorite space. Your basement has hidden potential that is just waiting to be discovered. We never overlook Proper Insulation and Waterproofing. 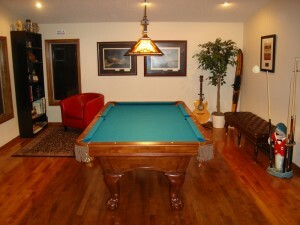 Bannochie Builders is an expert home construction and remodeling company. We have completed many basement remodeling, finishing and re-purposing projects in our day and would like to go over some major aspects when you decide to finish or work on your Maple Grove, MN basement. 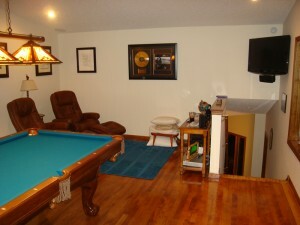 Basement Remodeling is a great way to add valuable living space to your Maple Grove, MN home. For the best possible outcome, you will want to work with a Licensed and Experienced Contractor that has a proven track record with basement finishing services. 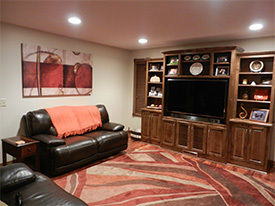 There are many different factors and options to consider when deciding how to design a functional and enjoyable finished basement space.